Rebecca Maizel put up the cover for Stolen Nights, the next book in her Vampire Queen series following Infinite Days. 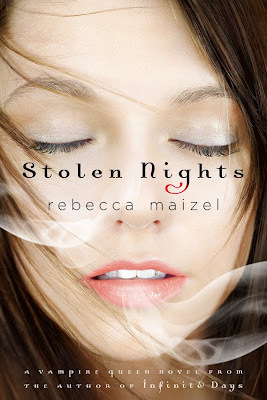 Stolen Nights will release March 15, 2011. Can't say that this cover really stands out or grabs me. Oh I like it! It's very soft and follows the first one nicely. kay I agree it fits with the series so far. Fo me just not a stand out. yllektra I've heard the first book is pretty good. It is of course on my bottomless wish list. 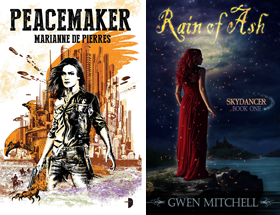 Welzen certainly it fits with the general trend of attractive feminine faces on YA covers.